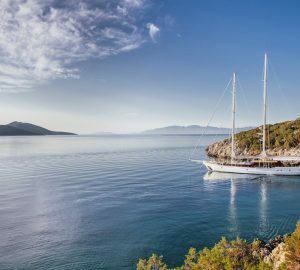 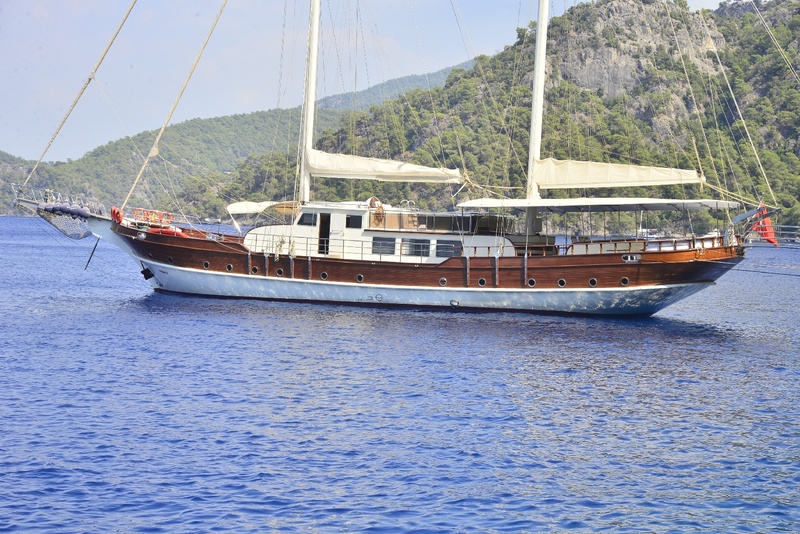 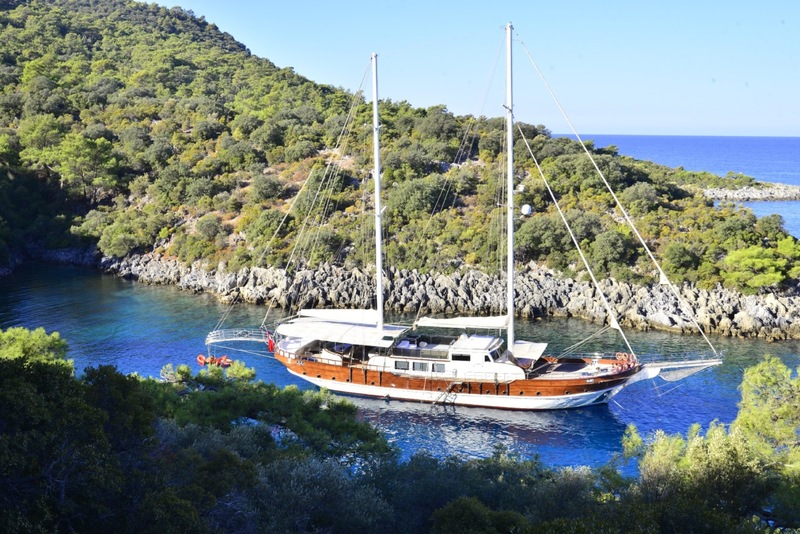 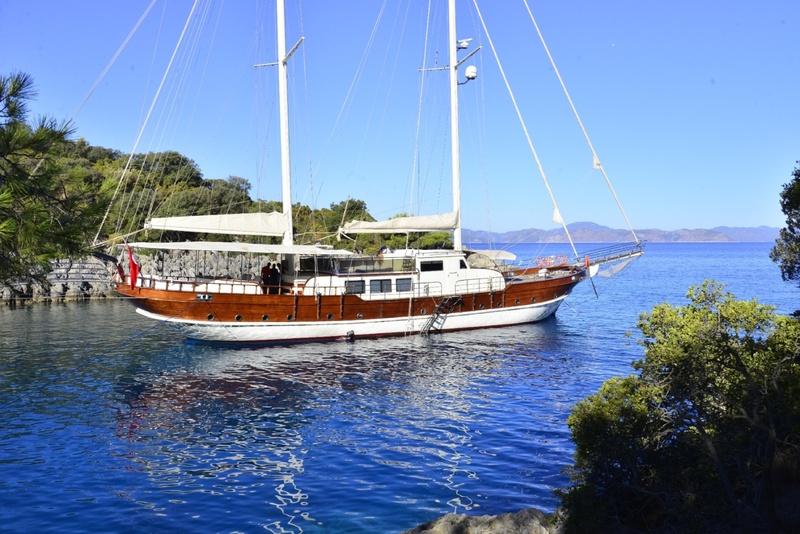 Motorsailer BERRAK SU was launched in 2008 and is 33m (108') overall, she is a traditional gulet design and has 6 cabins, for up to 12 charter guests. 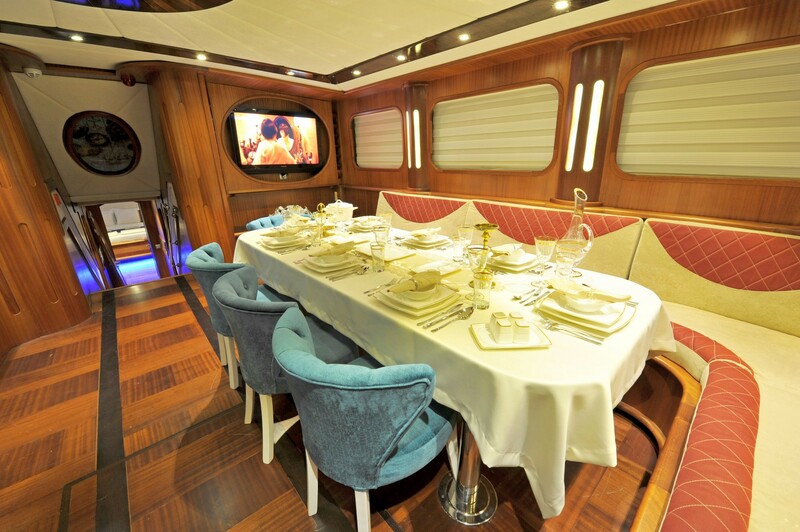 The yacht's interior features warm woods and neutral soft furnishings, with lovely pops of color which creates an inviting atmosphere. 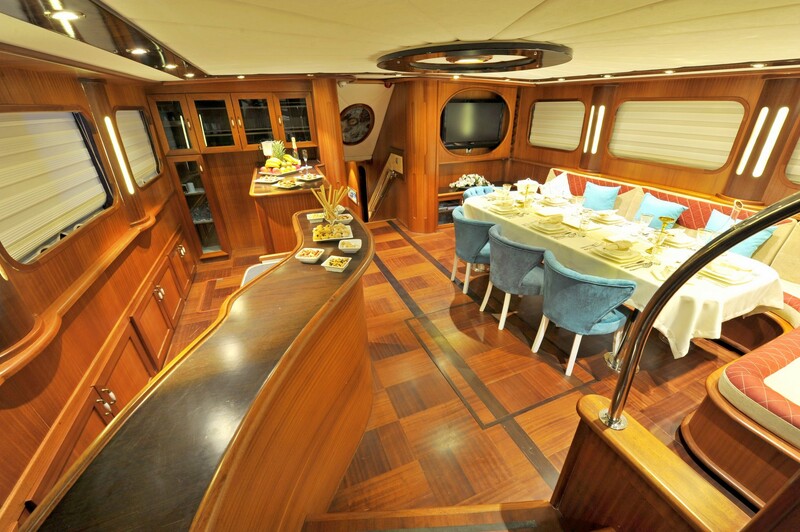 The open plan main salon and dining is in a raised position, allowing for plenty of natural light from surrounding windows. 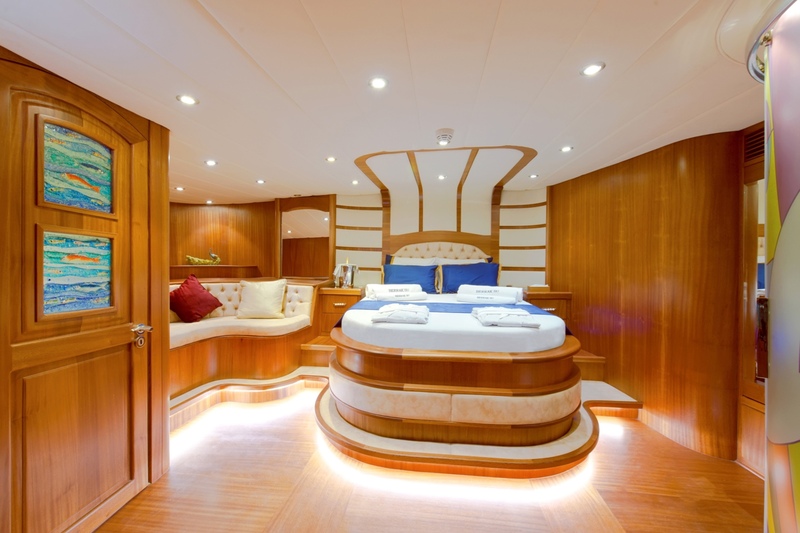 Her accommodation is for and aft of the salon, in 6 staterooms. 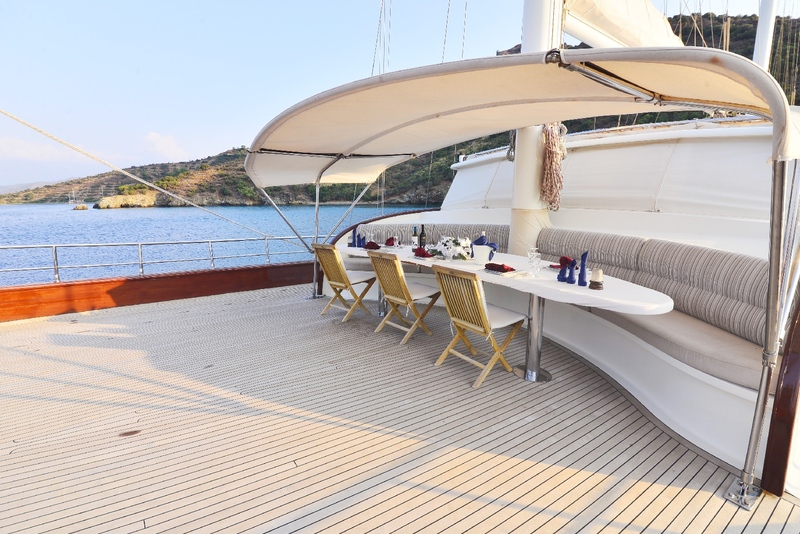 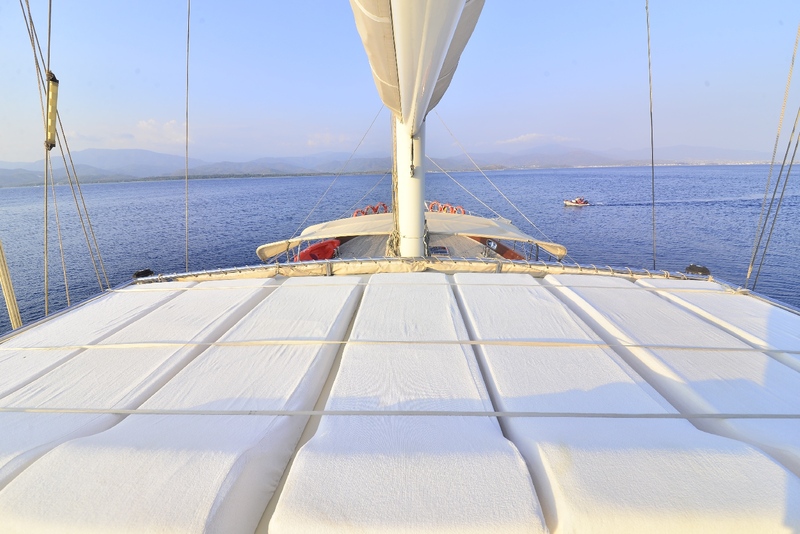 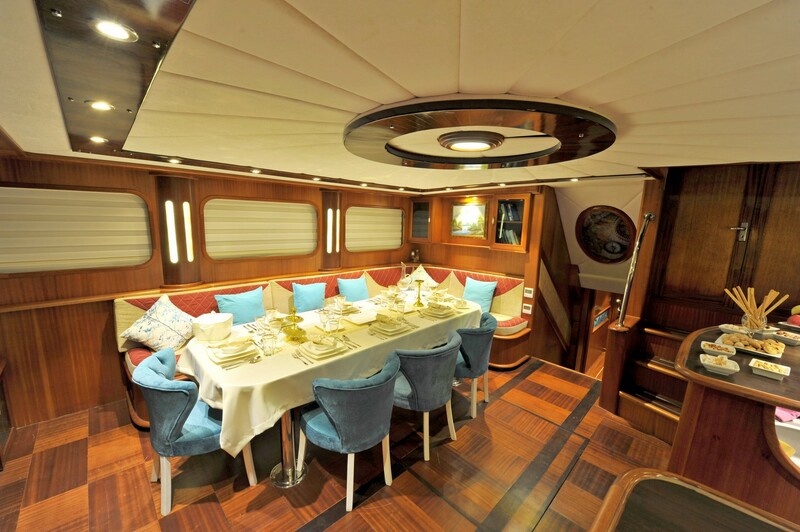 S/Y BERRAK SU's teak decks provide charter guests with plenty of areas to relax, socialize and entertain. 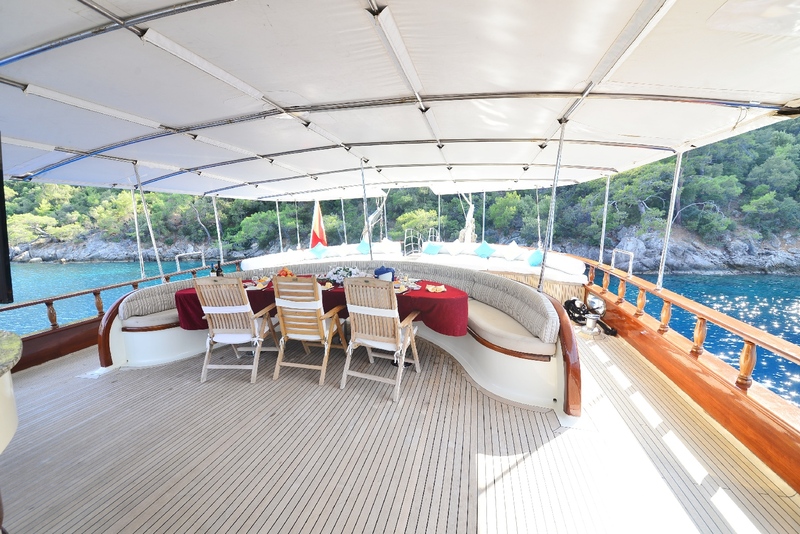 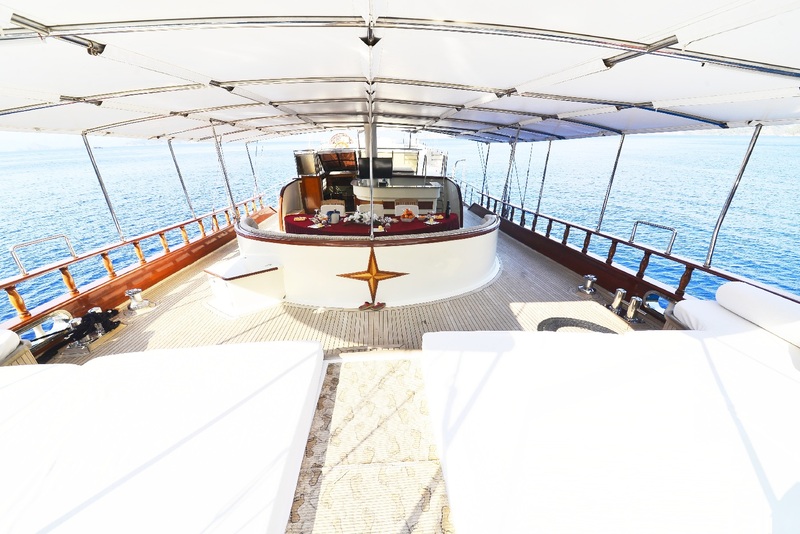 A shaded aft deck has alfresco dining, seating and a full beam stern sunpad. 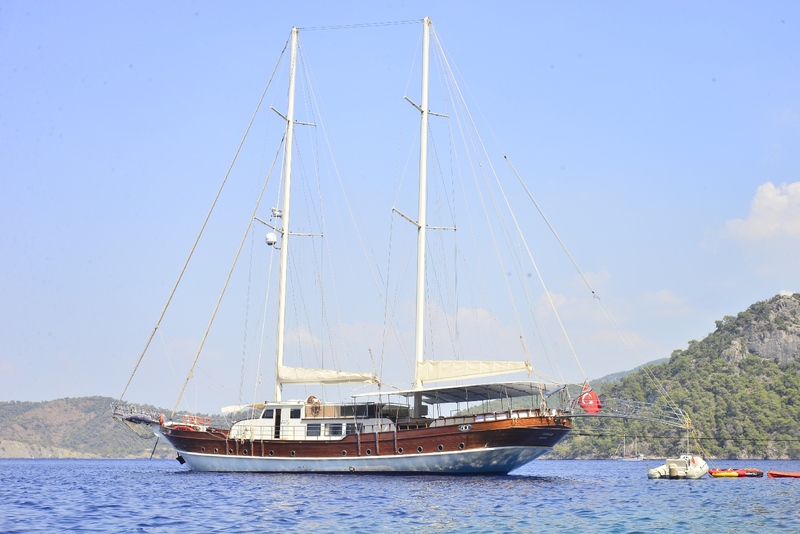 Moving forward of the gulet, the space offers an additional alfresco dining option. 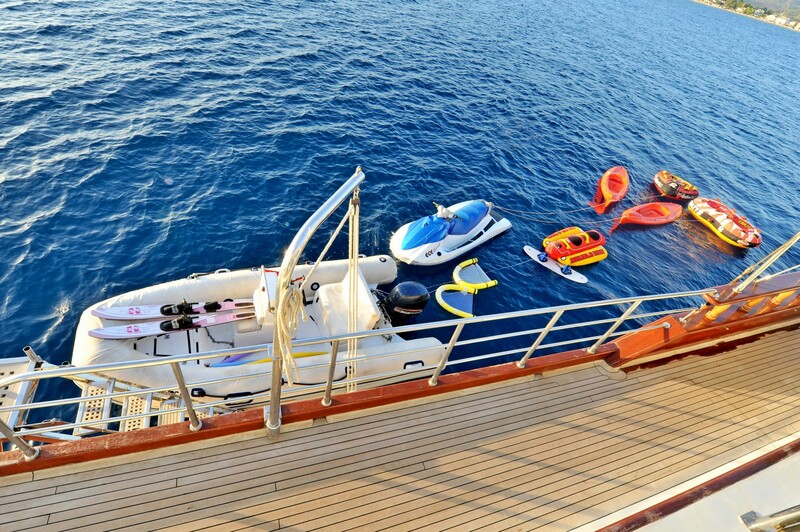 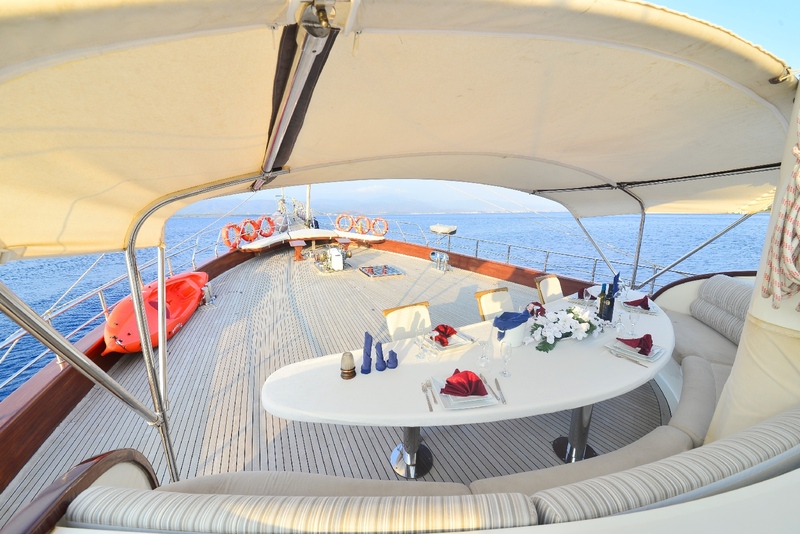 There is a well-appointed sundeck, boasting numerous comfortable sunpads. 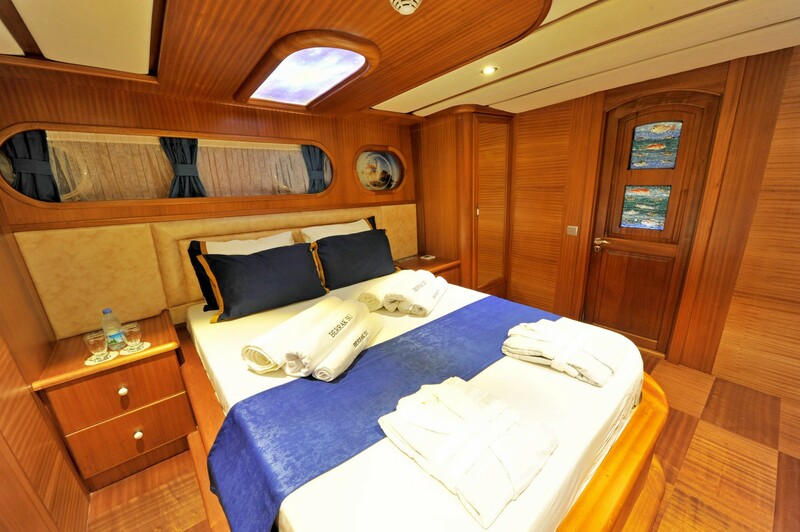 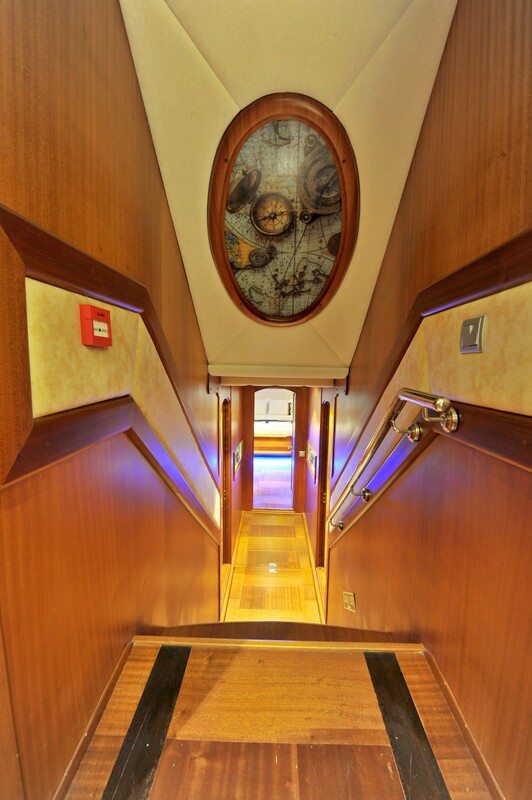 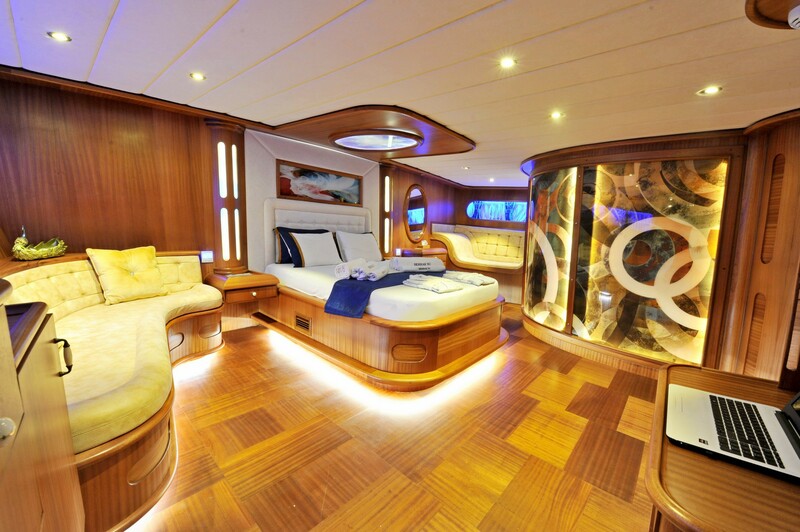 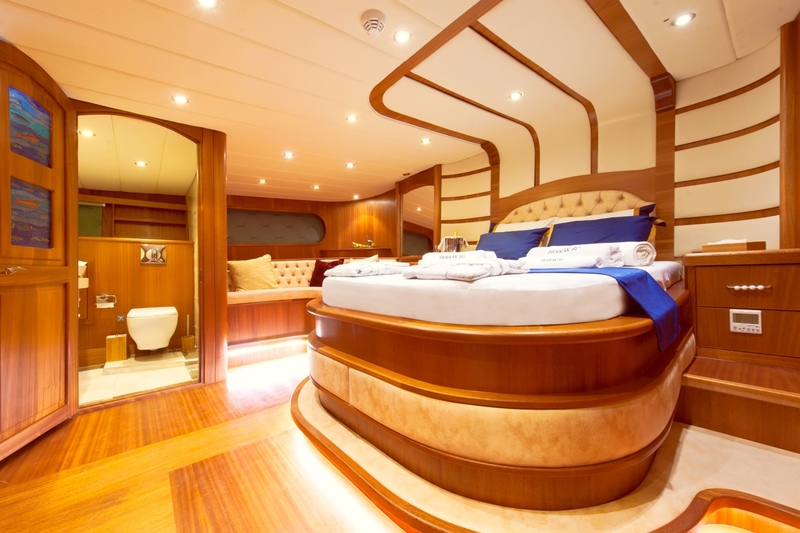 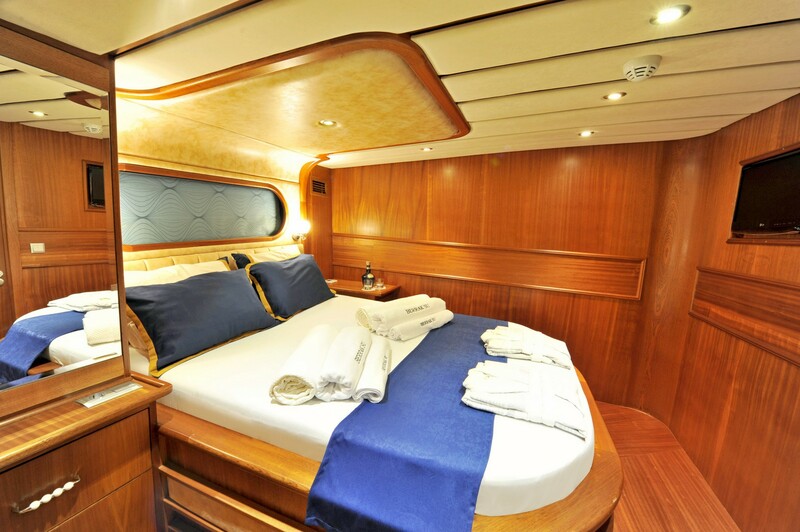 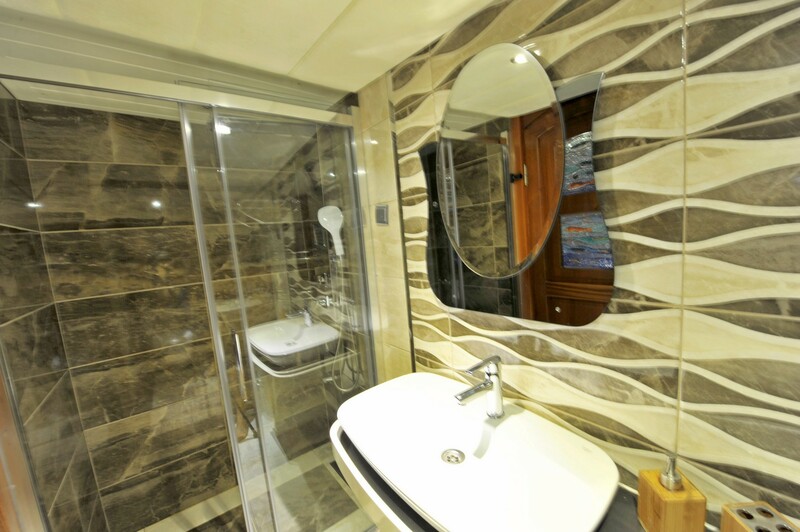 Six double cabins accommodate a maximum of 12 charter guests.